LEHI Pump Service, Inc. has been providing the Applegate Valley and surrounding areas with professional and quality well systems service for almost 40 years. In 1976, Les Hill, the founder and the original owner/operator of LEHI Pump Service opened up shop. The name for the business came from Les's name. He took the first two letters of his first name, combined them with the first two letters of his last name, and there you have it, LEHI. His philosophy of "honest, quality service at an affordable price" has been the backbone of the company's longevity and success. With Les in the service truck and his wife Jackie answering the phone, the family business began. In 1980, their son, Ron, joined the business. As the years went by, more and more folks allowed LEHI Pump Service to take car of their water well system needs. In 1998, Les and Jackie decided to retire and turned the business over to Ron and his wife, Jody. They truly enjoyed living and working in the Applegate Valley as well as raising three very active children who attended local schools. In 1999, Ron and Jody were very thankful to have their son, Dustin, join the "family business." This came at the perfect time as the business was growing and Ron and Jody needed help. My, how the family has grown! Ron and Jody are now grandparents to 4 granddaughters and 4 grandsons with another currently on the way. Dustin and his wife, Tera, are raising 4 of those grandsons. Someday in the future, we would love to welcome one or more of those grandchildren to join the family business! We want to continue to provide the same "honest, quality service at an affordable price" on which the family company was founded. Most of all, we want to personally thank all of our loyal, wonderful customers who have allowed us to service their pump systems and keep their water flowing. 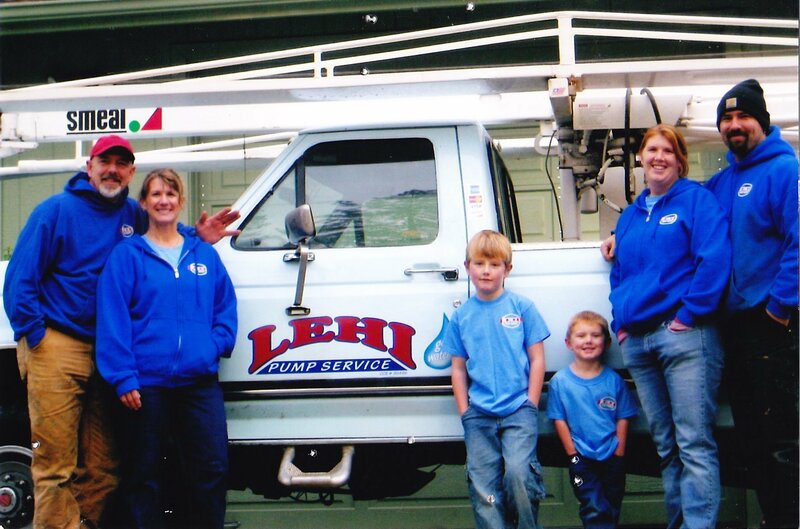 Without you, LEHI Pump Service, Inc. would not exist. Again, thank you!